Fifty years ago North Delta was a sparsely populated fishing and farming community with little opportunity for youth to be involved in organized sport. Thanks though to people like this year’s Hall of Fame inductee, Herb Betts, this has changed dramatically. An immigrant from England, Herb moved his young family to North Delta in 1959. Shortly after, he began his involvement in the development of boys soccer in North Delta. With nothing organized in the municipality, Herb, along with a small group of dedicated men, established, in 1961, the Delta Juvenile Soccer Club which operated out of Ladner. With explosive growth in the next few years in North Delta, there were soon enough boys playing that the area was able to field teams of its own. 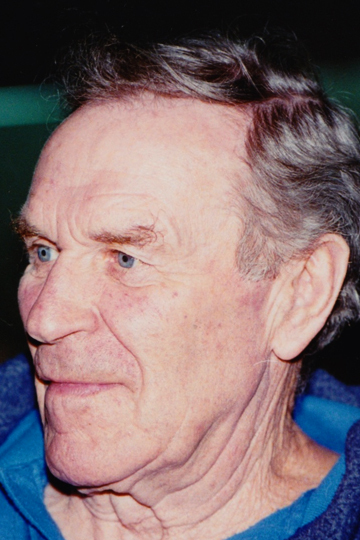 In 1967, Herb was instrumental in establishing the North Delta Soccer Club for which he served as one of the directors, a position he occupied for many years. Although he had coached for a couple of years, he soon realized that his abilities could be better utilized in the meeting room and he threw himself headlong into organization and administration. At this time there was an unfortunate lack of facilities in the area. School fields were used but there were no dedicated soccer pitches. With Herb as the driving force, NDSC launched a campaign to built a lighted, all purpose field. In 1970, the fruits of the Club’s labours were realized as the Boys and Girls Club Field (now North Delta Park) opened as the first lit “all weather” field in the Lower Mainland. During his tenure as President, in 1973 and 1974, he oversaw the implementation of two programs that still run today: the North Delta Summer Soccer School, and a mini-soccer program with its focus on a small field, small nets and fewer players on the field. His contributions have been recognized over the years. In 1983, he was the inaugural recipient of the NDSC – Honour Roll award. In 1998, the club’s annual mini-soccer jamboree was renamed the Herb Betts Mini Jamboree in his honour. In 2001, he received the BC Soccer Association’s Certificate of Merit. Mr. Bett’s passion for youth soccer kept him active in club affairs for nearly forty years, until his death in 2006. He was the classic “lifer”, who worked tirelessly and unselfishly to provide young boys the best soccer experience he could. For this the North Delta soccer community will always be indebted!